Over the past 20 years the CBSS Expert Group on Sustainable Development - Baltic 2030 has acted as a macro-regional expression of the global UN Agenda 21 and collected a significant experience of working on sustainable development issues in the Baltic Sea Region (BSR). Our members are various government ministries and agencies from the 11 Baltic Sea states (Denmark, Estonia, Finland, Germany, Iceland, Latvia, Lithuania, Norway, Poland, Russia and Sweden), the European Commission, numerous intergovernmental and non-governmental organisations, academic and financial institutions, as well as local, city and sector networks. The overall mission of the CBSS Baltic 2030 is to facilitate and support macroregional engagement in the 2030 Agenda for Sustainable Development and to foster coordinated sustainable development governance through mutual learning, exchanging and dissemination of best practices. The CBSS Baltic 2030 Unit is acting as the Leader of Horizontal Action CLIMATE of the EU Strategy for the Baltic Sea Region. Key strategic areas of cooperation include climate change adaptation and low carbon development. Implementation the Sustainable Development Goals (SDGs) is a challenge, but it is also an opportunity for sustainable transformation of the Baltic Sea region, therefore the CBSS continues its efforts to reach it, therefore we are happy to support the European Sustainable Development Week 30 May – 5 June 2018. The Covenant of Mayors is the mainstream European movement involving local and regional authorities, voluntarily committed to increasing energy efficiency and use of renewable energy sources on their territories. Through their commitment, Covenant signatories aim to meet and exceed the European Union 20% CO2 reduction objective by 2020. CSR Europe is the leading European business network for Corporate Social Responsibility. Through its network of around 50 corporate members and 45 National CSR organisations, it gathers over 10,000 companies, and acts as a platform for those businesses looking to enhance sustainable growth and positively contribute to society. Aligned with its flagship initiative Enterprise 2020, which works to address European and global challenges to achieve smart, sustainable and inclusive growth, CSR Europe is proud to be a partner of ESDW. The European Environment and Sustainable Development Advisory Councils Network (EEAC) believes that a transition towards a more sustainable Europe, which addresses the environmental, economic, social and cultural dimensions of sustainability, is both necessary and possible. The EEAC is pleased to endorse and support the European Sustainable Development Week initiative. The European Environmental Bureau (EEB) is the environmental voice of European citizens, standing for environmental justice, sustainable development and participatory democracy. We want the EU to ensure all people a healthy environment and rich biodiversity. We represent more than 140 member organisations from 31 countries with a membership base of more than 15 million individuals or households. The European Economic and Social Committee (EESC) is an advisory body in the EU institutional set-up representing European civil society. We act as a vibrant forum for European civil society dialogue - hence, ensuring a broader democratic legitimacy and effectiveness of the European Union. The Sustainable Development Observatory, as a body within the EESC comprising 33 members from a wide range of civil society organisations, is dedicated to engage people in Europe and globally for a sustainable world. The SDO has made it its priority for the coming years to help ensure that the 2030 Agenda for Sustainable Development is implemented in Europe to its full potential. "We fully support the initiative for a European Sustainable Development Week", says Brenda King, the president of the Sustainable Development Observatory. "Local initiatives play a crucial role in the transformation of our economies and societies towards a sustainable model. All around Europe non-governmental stakeholders - local communities, citizens, workers and businesses as well as non-profit organisations - have developed excellent innovative projects. The European Sustainable Development Week is a good opportunity to give these champions more visibility and encourage them to go ahead." Representing a diverse mixture of cities and regions from across the globe, ICLEI - Local Governments for Sustainability is the world's leading association of local governments dedicated to sustainable development. ICLEI strongly supports the aims and ideals of ESDW. The Nordic Council of Ministers (NCM) is the official body for inter-governmental co-operation in the Nordic Region, including the member states Denmark, Finland, Iceland, Norway and Sweden as well as the Faroe Islands, Greenland and the Åland Islands. It seeks solutions with visible positive effects for everybody who lives in the Nordic countries. Here, the work with sustainable development is crucial, and that’s why the Nordic Council of Ministers adopted the Nordic Programme for the implementation of the 2030 Agenda in September 2017. The programme, Generation 2030, will facilitate co-operation on the challenges faced jointly by the Nordic countries in achieving the 17 sustainable development goals (SDGs). Generation 2030 focuses specifically on SDG 12, responsible consumption and production, as it is one of the key areas in which the Nordics need to improve, while simultaneously being linked to several of the other goals in the 2030 Agenda. We believe that we are stronger together. By cooperating on a regional level, and also on a European level, for instance through the ESDW as a partner in 2018, we believe we can achieve more. SOS is an international alliance of student and youth organizations that collaborate to progress their work on social responsibility and environmental sustainability. It is creating a global movement of student leaders collaborating for a sustainable world. Across Europe, young people are innovating and campaigning to build a sustainable future. The European Sustainable Development Week allows these young people to demonstrate their leadership to the decision-makers and the public of Europe. A partnership between SOS and ESDW is also an opportunity for youth organisations in different corners of the continent to collaborate- upscaling their ground-breaking local and national activities towards international ambitions! 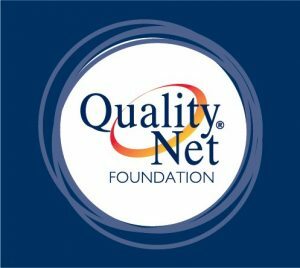 Qualitynet Foundation is a non-governmental organization specialized on Sustainability. It works in Southern Europe and the Balkan countries with Institutional bodies, Business associations, Corporations and with societal organizations for a sustainable future. It consists a multistakeholder network contributing to the development of the Sustainability agenda in national level, Stakeholder Dialogue and awareness of the sustainability issues in the market. It supports Organizations to their transaction towards Sustainability by developing tools & methodologies . Also, it contributes to the education of the Active Citizens of tomorrow. The Italian Alliance for Sustainable Development (ASviS) is the largest Italian network dedicated to sustainable development, gathering over 200 of the most important civil society institutions and organisations in Italy, such as: associations representing social partners (businesses, trade unions and third sector associations); networks of civil society associations pursuing specific Goals (health, education, employment, environment quality, gender equality, etc. ); associations of local public administrations; public and private universities and research centres; associations of stakeholders working in the fields of culture and information; foundations and networks of foundations; Italian organizations that are members of international networks dealing with the SDGs. Established on February 3rd, 2016, upon the initiative of the Unipolis Foundation and the University of Rome “Tor Vergata”, ASviS’ aim is to raise the awareness of the Italian society, economic stakeholders and institutions about the importance of the 2030 Agenda for Sustainable Development, and to mobilize them in order to pursue the Sustainable Development Goals (SDGs). With its yearly Sustainable Development Festival, a nationwide initiative stretching across 17 days (one for each of the SDGs) and featuring hundreds of events scattered across the Italian peninsula, ASviS aims at promoting transformation, engaging civil society and encouraging the country’s leaders to honour the commitments undertaken before the UN General Assembly in September 2015. In line with its vision to build effective partnerships for sustainable development, the Alliance supports the European Sustainable Development Week. The German Council for Sustainable Development (RNE) is an advisory body mandated by and reporting back to the German Federal Government. Appointed ad personam by Chancellor Angela Merkel for a three-year term the 15 members are free to set their agenda. The RNE was first established in April 2001 by then Chancellor Gerhard Schröder. Its work is facilitated by a General Secretary and his staff. The RNE seeks to make sustainable development a fundamental goal and field of action in all areas of the political sphere. It works towards citizens living a sustainable lifestyle and towards a broad public discussion on sustainability. It urges businesses and institutions to make their economic activities sustainable, to face the challenges posed by sustainability and to make use of its opportunities. The RNE seeks to broaden the discussion on sustainability within society and to make the outcomes of this more effective and more binding. 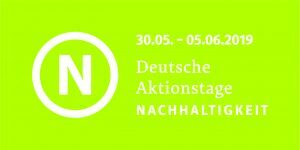 The Sustainable Development Solutions Network Germany (SDSN Germany) strives to promote sustainable development as a guiding principle for politics, business and society with a particular focus on Germany and Europe. Member organisations of SDSN Germany are at the same time members to the global SDSN with offices in New York, Paris and New Delhi. Water Agency is a voluntary, independent, non-profit association that works in the field of nature protection and raising awareness for the importance of water resources . Members of the organisation will protect and represent the interests of water, help maintain water resources and increase people's awareness for the rational treatment of these basic resources . The basic idea of the Water agent program is to restore international co-operation and connection through encouragement and rethinking our everyday actions regarding rational and responsible behavior with water. Activism is developed through the building of relationships with related organizations, schools, local governments and relevant companies and institutions. „Our program and project activities directly relate to several objectives of sustainable development“, says Jože Cvetko, the president of the Water agency. „Initiatives that bring together open-minded people can contribute to major changes in society. The objectives of sustainable development are intertwined with all levels of life. If more people are informed, educated, and engaged in activities, we can be sure that the goals will be achieved. The development plan of the Water agent project includes activities, such as ESDW, and we will try to encourage members of our network of Water agents to be involved as much as possible“. The World Business Council for Sustainable Development (WBCSD), a CEO-led organization of some 200 forward-thinking global companies, is committed to galvanizing the global business community to create a sustainable future for business, society and the environment. In line with our vision to apply respected thought leadership and effective advocacy to generate constructive solutions and take shared action, we are pleased to support the European Sustainable Development Week.